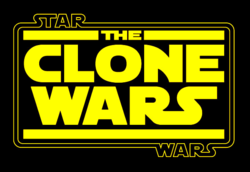 ^ 1.0 1.1 Star Wars: The Clone Wars - The Lost Missions Now on Netflix - StarWars.com. StarWars.com. （原始内容存档于2014年3月7日）. ^ Lucas' CGI project going bigscreen before smal. Wayback Machine. 2008年8月26日 [2015年10月24日]. （原始内容存档于2008年8月26日） （英语）. ^ 《星際大戰：複製人之戰》公佈未公開動畫. 巴哈姆特. 2014年9月27日 [2015年10月23日] （中文）.